For the second consecutive year, the Springdale School District’s performance in student academic achievement and growth has earned it the top reward in the state. Sixteen Springdale schools have been singled out for excellence as part of the Arkansas School Recognition Program. The 16 Springdale elementary and middle schools rank in the top 10 percent or higher of all Arkansas schools. Nine schools, Harp, Hunt, Tyson, Childers-Knapp, Parson Hills, Lee, Young and Turnbow Elementary Schools plus Tyson Middle School, are among the top five percent in Arkansas. Seven schools, Hunt, Walker, Jones, Monitor and Sonora Elementary Schools along with Hellstern and J.O. Kelly Middle Schools, are among the top 10 percent of schools in our state. For their performance in academic achievement and student growth, the 16 schools have been awarded a combined $761,358 – the most received by any school district in the state and the second consecutive year Springdale schools took the top monetary reward for student achievement. 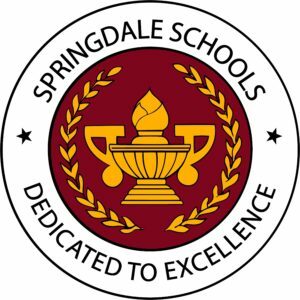 Springdale’s reward for excellence represents 11 percent of the available statewide fund, despite Springdale’s student body being less than 5 percent of the state’s total student enrollment. It’s a story overlooked by the media when state awards were announced. Springdale received just over $13,000 more than Bentonville and $372,000 more than third-place Greenbrier. Springdale’s reward was more than three times that awarded to the Fayetteville ($239,011) and Rogers ($219,416) school districts. In all, 79 school districts received cash rewards (73 percent of them earning less than $100,000).